This charming three-story building houses 172, including a residence life professional. 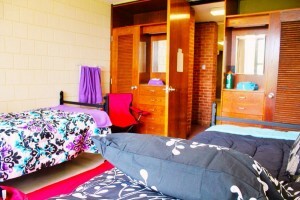 All of the rooms in Brownlee Hall are double-occupancy. Every floor has kitchen facilities, computer workstations, and a TV lounge. There is also a large lounge in the basement of the building, traditionally referred to as the “BUG” (for Brownlee Underground), which contains mailboxes, kitchen facilities, a pool table and a big-screen TV. This space can be used by residents for floor programs, watching movies or even sleepovers. 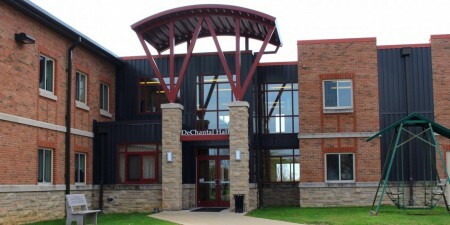 Living on each floor of Brownlee Hall are three to four resident assistants. Brownlee Hall is on Seton Hill's main hilltop campus. Furniture in each room includes 2 desks with chairs, 2 beds with mattresses, 2 closets, 2 dressers & 1 set of shelves (large enough to share). Beds are freestanding and moveable. 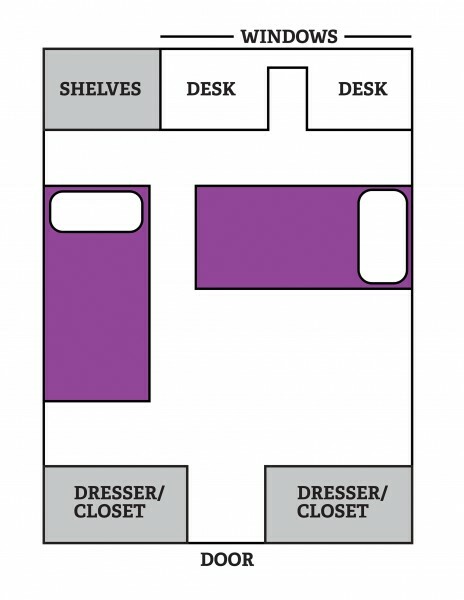 Room dimensions: 10'8" x 15' 4"
Closet dimensions: 23" x 24" x 75"
Drawer dimensions: 20" x 18" x 5"
Window dimensions: 96" x 67"
Vanity Mirror dimensions: 16" x 23"
Each floor includes kitchen facilities, a study lounge and a TV lounge. Shared lounge includes kitchen facilities, recreational area and a large screen TV.